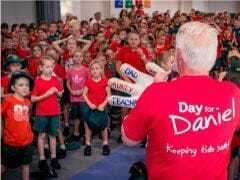 Matthew Flinders Anglican College Vacation Care is holding a Charity Walk on Friday 1st July to help raise funds for the Daniel Morcombe Foundation. Funds raised will go directly towards providing resources to help keep kids safe! Great effort..good luck for the walk!